Commercial Pilot Flight Instructor Philip Craig practising a full engine feathering drill during a training flight with Justin Chung. 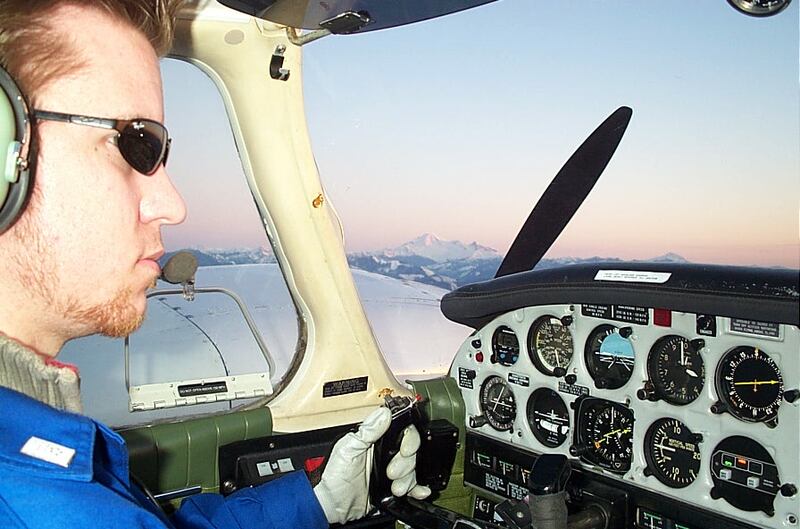 Phil successfully completed his Multi-engine Class Rating Flight Test with Pilot Examiner Matt Edwards on January 24, 2008. Congratulations to Phil's Flight Instructor, Justin Chung, on this very successful ride.